Is Northern Ireland capable of dealing impartially with the past without the threat of political interference? 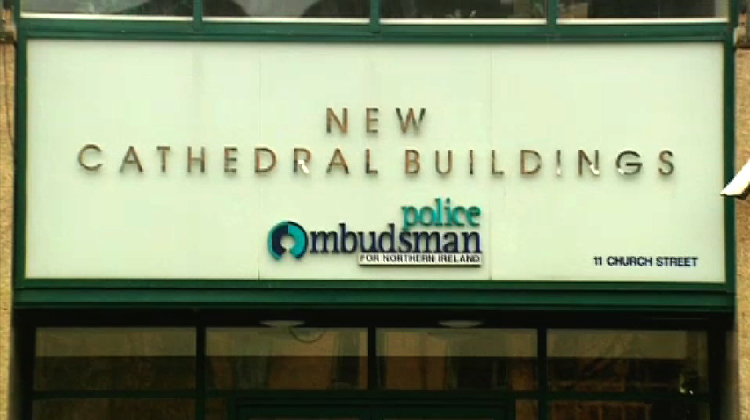 When the Patten Commission published its proposals to change the future of policing in Northern Ireland in September 1999 it recommended the establishment of an ombudsman’s office to ensure accountable policing. Crucially, the Ombudsman was to be given access to all areas of policing, including that most controversial of departments, Special Branch and its subsequent successor C3. The establishment of the Ombudsman’s office was a key part of the rebalancing and restructuring of policing here and its credibility was built on the foundations of it being independent and free from political interference. However a series of public reports into the activities of the office and allegations of political interference has now left serious question marks as to whether Northern Ireland can deal impartially with the past. 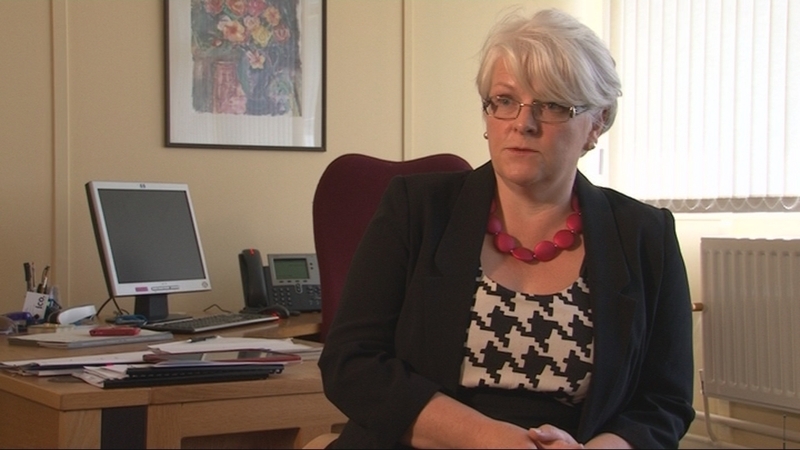 The issue comes as retiring Public Appointments Commissioner Felicity Huston raises concerns about the overall inability of some senior officials within the civil service to understand the need for proper impartiality in office. In her seven years as Police Ombudsman Nuala O’Loan was involved in a number of public disputes with both the RUC, PSNI and the Northern Ireland Office in a bid to defend the independence of her office. A significant number of these disputes centred on Mrs O’Loan’s determination to investigate inside Special Branch. The ombudsman attempted to strengthen the credibility of her office with nationalists by showing that nowhere was off limits to her investigators. However she repeatedly complained that she was obstructed, including Special Branch withholding sensitive files from her investigation. In November 2007 Mrs O’Loan was replaced by former Canadian policeman Al Hutchinson. Before she left office, it is understood Mrs O’Loan came under significant personal pressure from unidentified elements within the Northern Ireland Office (NIO), particularly over her investigation into Omagh, which, today, remains the high water mark for the ombudsman’s office both in terms of accuracy and getting inside the “force within a force” that was the Special Branch. Ombudsman sources have confirmed a report of one particular meeting at Stormont Castle where Mrs O’Loan was warned to “keep her nose” out of intelligence matters. That power was effectively stripped from the ombudsman’s office with the decision to handover intelligence control from the PSNI to MI5. The ombudsman has no powers to investigate or scrutinise any MI5 operations. After just three years in office Mr Hutchinson is under severe pressure to resign. 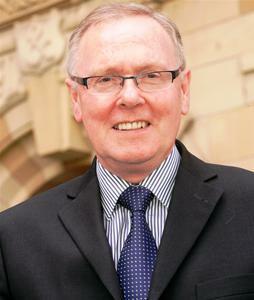 In recent weeks his office has been embroiled in three very public disputes. In March the ombudsman’s chief executive Sam Pollock resigned his position claiming that the independence of the office had been compromised because of the interference of officials from the (NIO) and Department of Justice (DoJ). A damning report by the Committee on the Administration of Justice (CAJ), published three weeks ago, highlighted a series of instances, which it alleged showed NIO interference in the ombudsman’s office. Two weeks ago the families of six men murdered in Loughinisland claimed an ombudsman’s investigation into the death of their loved ones was a whitewash, after it failed to make any mention of the involvement of the Special Branch in the events surrounding the 1994 massacre. Mr Hutchinson’s attitude towards Special Branch was in marked contrast to Mrs O’Loan, who in January 2007 published a damning report which claimed that Special Branch protected UVF killer Mark Haddock from prosecution, despite his involvement in as many as 12 murders. To date the ombudsman has failed to bring any charges against any Special Branch officer in any of its investigations. The most telling, but also most damaging insight into what has been going on inside the ombudsman’s office, came in the report from the Chairman of the Community Relations’ Council (CRC), Tony McCusker, into the allegations of political interference made by Sam Pollock. Mr Pollock alleged that the NIO’s political interference had initially begin in late 2007 when it had attempted to exclude other candidates from applying for the ombudsman’s post, which was eventually awarded to Mr Hutchinson. Mr McCusker said that the NIO had been wrong not to include Mr Pollock in discussions over the financial package which had been offered to Mr Hutchinson when he took the job and had set an “unfortunate climate” for the deterioration in relationships that were to follow. But it was the breakdown in the relationship between Sam Pollock and the ombudsman’s Senior Director of Investigations (SDI) Jim Coupland, which had the most serious ramifications inside Mr Hutchinson’s office. Before Mrs O’Loan left office in November 2007 she recommended a series of 26 changes in the ombudsman’s office. When Mr Hutchinson came into the post he made it known that he supported 19 of the 26 recommendations. He appointed Mr Coupland and another official to liaise with the NIO to finalise the implementation of the recommendations. When the proposals were forwarded to then Secretary of State Shaun Woodward in 2009 only 4 of the 26 recommendations had survived. Crucially some of the recommendations related to intelligence related matters were abandoned. These included giving the ombudsman powers to interview retired police officers and informers and military personnel involved in joint police operations. Ironically it is understood Mrs O’Loan’s recommendations had been supported by then chief constable Hugh Orde, but were strongly opposed by retired police officers. The minister was informed that the decision to abandon the majority of Mrs O’Loan’s recommendations had been approved by Mr Hutchinson. However the ombudsman later denied having ever been informed of the changes. He also denied any knowledge of a written agreement having been signed between the NIO and his office. “The ombudsman and the chief executive stated that they were unaware of either the ministerial submission or the agreed and signed document,” Mr McCusker reported. “Both also say that they had not been kept up to speed by their office officials about developments following the creation of the group in June 2009." He added: “What can be drawn from this? I can readily understand why the chief executive might have believed that there was a determination by the NIO and sections within the office not to allow the strengthening of the office based on the recommendations of the previous ombudsman." Mr McCusker said that the position of the ombudsman in the issue had been “critical” and that a conspiracy theory had been fuelled by a failure to act. “I am concerned that an agreement appears to have been concluded between the Senior Director of Investigations and a middle ranking official of the NIO without either the imprimatur of the ombudsman or the knowledge of the chief executive”. Political interference in the ombudsman’s office appeared to take place once again as the dispute between Mr Coupland and Mr Pollock escalated. In 2009 both men made complaints against each other. However Mr McCusker raised concerns over how internal DoJ documents had been leaked to Mr Coupland to help in his complaint against Mr Pollock. The CRC chairman said the passing of DoJ information to Mr Coupland had been “disturbing and clearly interfering in the role of the office” but concluded that it was not evidence of systemic interference. Pointedly Mr McCusker concluded that "decisive leadership was missing’’ in the handling of the issue within the ombudsman’s office. Mr Hutchinson’s problems within his office ultimately come down to his attitudes towards those who appointed him at the NIO and the world of smoke and mirrors that was the Special Branch and how it behaved during the Troubles. When Patten proposed an ombudsman, he foresaw an office that was robust and fearless; an office that would command respect from all sections of the community. In the Loughinisland report, the ombudsman’s office appeared to ignore the key fact that has to be at the centre of any investigation into the past: Special Branch. If you are examining Northern Ireland’s past, all roads have to lead back to those who controlled intelligence gathering and what they knew before and after the incident. Claims that the NIO want to block this road permanently have been re-enforced by the series of revealtions that have emerged from the ombudsman’s office in recent weeks. Whether Mr Hutchinson keeps his job or not, this will be the issue that lies at the heart of the relationship between the ombudsman and our past. But can Northern Ireland really deal with the past while the issue of political interference remains unaddressed?